My first job as a nurse was at the Jersey City Medical Center. I had just graduated from nursing school and had taken the NJ State Board of Nursing exam. Since I hadn’t heard the results as yet (snail mail in 1962) I signed my name with a GN meaning “graduate nurse” rather than RN. When the mailman delivered results, Gloria, my ol’ nursing school roommate, would be home to open her notification. She called my house and got my dad to open my letter. We had both passed! We could call ourselves registered nurses and put a black band on our white winged caps. Gloria showed up on the fifteenth floor of the Jersey City Medical Center to tell me in person. We both screeched in joy. What did the patients and staff think? I don’t remember. And I don’t remember how many beds the JCMC had in the early ‘60s. And why would I need to know? Well, because it figures in the book I’m writing. 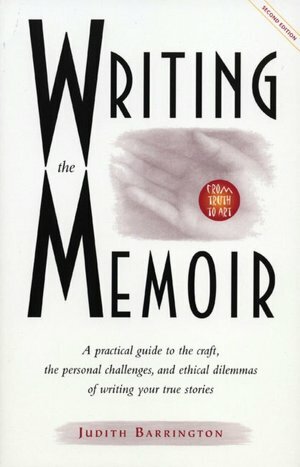 Judith Barrington, Writing the Memoir: From Truth to Art, cautions that “(I)t can be very embarrassing to get some very public fact wrong: the date Kennedy was shot; who played in the final at Wimbledon that year——. If these matters of public record figure in your story and you get them wrong, you will get dozens of letters telling you how sloppy your work is.” Well I would love dozens of letters or maybe in today’s communication world, dozens of emails but what I don’t want is so much negative criticism. Or to be accused of being a sloppy writer. I recently bought a book, Jersey City Medical Center, which came out in 2004 and chronicles the conception, birth and life of the JCMC. For me, it brought back memories since I not only worked there but also lived three blocks away. After school, my best friend, Carol, and I used to roll down the grassy knoll outside the hospital. When we grew older and braver, maybe we were ten or eleven years old, we would sneak into the building, wandering up the staircases and peaking into the various patient floors watching the nurses go about their duties. I have to get my facts right. I can visualize that whole experience in the hall there at JCMC, both of you so excited. I love not only the remembrance factor, but the fact you wandered around in the place long before it became part of your future. Intriguing.